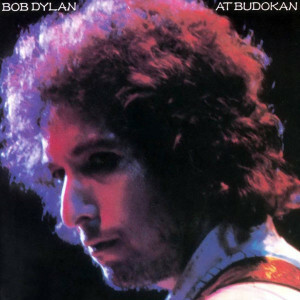 Count At Budokan among the group of most divisive albums in the Dylan catalog. Recorded in Japan on a 1978 tour, amidst sessions for Street-Legal, it finds Dylan making an attempt to develop a Vegas-style show with a horn section and backing singers. The template for this type of show is an Elvis Presley album like Elvis in Person at the International Hotel, Las Vegas, Nevada and Aloha From Hawaii Via Satellite. Like the former Elvis album, Dylan is doing new arrangements of his old hits. The problem here is mostly that flautist/saxophonist/etc. Steve Douglas is TERRIBLE! That flute is too loud and the sax is clichéd. And the band as whole is a little stiff. In hindsight, others have pointed out that shows from the tour in England were stronger and would have made for a better album. As it stands, one of this album’s biggest liabilities is that it’s far too long. At two discs, there’s a full disc worth of unnecessary reggae and easy listening mediocrity. That’s too bad, because some of this — “Maggie’s Farm,” “All I Really Want to Do,” and “It’s Alright, Ma (I’m Only Bleeding)” — really sounds good in its new setting. And, hey, Dylan is actually trying to sing, and doing a decent job of it by his usual standards.